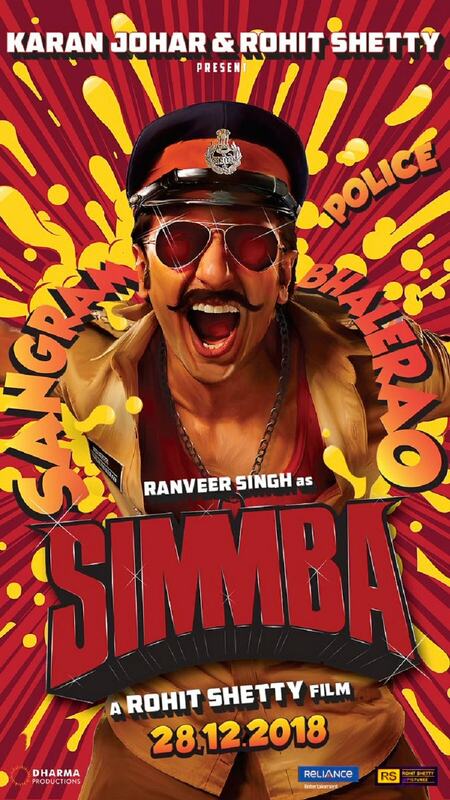 Between Singham 3 and the fifth Golmaal, Rohit Shetty is poised to direct Ranveer Singh in Simmba, which is said to be a remake of the Telugu film Temper but from the first look poster, it appears to be a Dabangg-Singham hybrid with a dash of Rowdy Rathore, at least in spirit. While Shetty and many A-list contemporary Hindi filmmakers are immensely successful in terms of box office, it is more or less apparent that they do not possess any range when it comes to the stories that they tell. In the decade and a half that he has been making films, half of Shetty’s body of work comprises of four Golmaals and two Singhams. 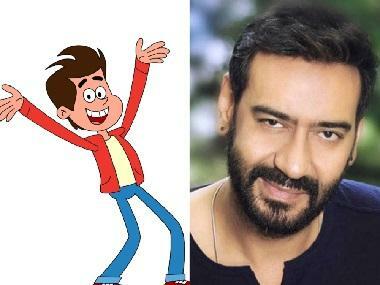 Additionally, two more films – Sunday and All the Best: Fun Begins – seem like ideas that could have been Golmaal films. It would not be incorrect to say that many present day Hindi filmmakers seem to be making the same kind of film again and again, unlike many from the 1950s and 1960s such as a Chetan Anand, who in spite of a smaller number of films, tried to experiment with genres. Unlike some of his more illustrious contemporaries, Chetan Anand, whose 97th birth anniversary was on 3 January, was never hailed as larger than life or talked about as much but in a career spanning forty years, the filmmaker made films in practically every genre. In just 16 films, Chetan Anand made superlative war films (Haqeeqat, Hindustan Ki Kasam), exceptional dramas (Neecha Nagar, Aandhiyan), classic romances (Heer Ranjha, Hanste Zakhm), supernatural/horror flicks (Kudrat) and a few more. He received the first-ever Palme d'Or award at the Cannes Film Festival, an honour that his film Neecha Nagar shared with Roberto Rossellini’s Roma città aperta or Rome, Open City (1945). Chetan Anand even helmed a TV series (Param Veer Chakra). In a rare exception, Anand also directed successful comedies, a genre that many filmmakers from the golden era never attempted head-on. Anand’s Funtoosh (1956) was a black comedy where Ram (Dev Anand) is institutionalized after he loses his mind following the death of his mother and sister and upon his release he comes across Kirorimal (KN Singh), who wants him dead for the money but in a twist of fate, Ram ends up marrying his daughter. Perhaps it was just Guru Dutt amongst the 1950s A-listers who included comedy as a part of his narrative in a higher degree than the norm in Mr & Mrs 55 (1955) but for most intent and purpose, the film could be termed a romance. Some years later, Chetan Anand made another comedy, Sahib Bahadur (1977), which incidentally was a reinterpretation of Afsar (1950), the first film he had directed for Nav-Ketan, the banner his star brother, Dev Anand, had set up to help his career that post-Neecha Nagar was not going anywhere. The only other filmmaker from the 1950s who not only attempted but was also wildly successful while making comedies would be Hrishikesh Mukherjee with seminal classics such as Bawarchi (1972), Chupke Chupke (1975), Golmaal (1979), Khoobsurat (1980) and Naram Garam (1981) to name a few. It is not just Shetty but many big ticket Hindi filmmakers today perhaps lack the range as displayed by a Chetan Anand or a Raj Khosla, who made great thrillers, nail-biting horror, classical romances and unrivalled action and drama films. Just in the 1970s, Anand went from Heer Raanjha (1970), a love story where the entire dialogue is in verse, to Hanste Zakhm (1973), a social romance, to a war film, Hindustan Ki Kasam (1973), that was based on Operation Cactus Lily in the 1971 Indo-Pak war and featured some of the best dogfights in Hindi cinema. Today, the prolific Anurag Kashyap (11 films) or the larger than life Sanjay Leela Bhansali (eight films) rarely venture out of a comfort zone in terms of genre. 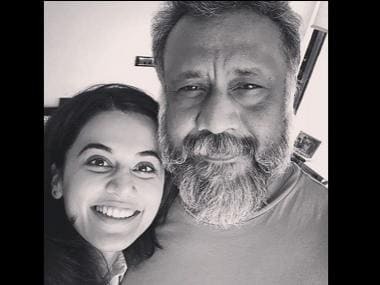 The same goes for Imtiaz Ali (seven films), Karan Johar (six films), Kabir Khan (six films), Aditya Chopra (four films) and Rajkumar Hirani (four films). While there is nothing wrong in that; after all a filmmaker has every right to make the film that they like, even when it comes to producing films, something that most directors today are doing with greater alacrity than ever in the past, they willy-nilly end up playing the same note. What could the reason for the mainstay of popular Hindi cinema to carry on making the same kind of film? It is practically impossible to think of a ‘Sanjay Leela Bhansali comedy’ or a Karan Johar making an action film. Maybe this has to do with the cinematic gurus that they grew up adulating. A Nasir Husain or a Manmohan Desai, the two filmmakers who seem to be guiding force behind a Rohit Shetty, a Farah Khan, a Yash Chopra or a Karan Johar, always had their signature film and often orbited around it. But more than that, a very specific kind of film was expected from them. When Husain made Baharon Ke Sapne (1967), an experimental slice-of-life kind of film in black and white, the audiences panned him and infused such disdain within the filmmaker that he swore of changing his style. A Yash Chopra might be known as the pasha of romance with Kabhi Kabhie (1976), Silsila (1980), Chandni (1989) and Lamhe (1991) but he was the same filmmaker who made a Deewar (1975) and a Mashaal (1984). Yet for some reason, his acolytes refuse to look beyond his lady-in-white-cavorting-in-Switzerland character. It is not like there are not filmmakers who are not trying to tell different stories as opposed to seeking different ways to tell the same tale. Take for instance, a Vishal Bhardwaj, Reema Kagti, Zoya Akhtar or a Shoojit Sircar who appear to be more at ease when to comes to shifting between genres. Bhardwaj had made nine films in fifteen years that include a few children’s films, black comedies and dramas and while one could to an extent, accuse him of operating within the same universe, his storytelling is not totally limited to a specific mega-genre. The one other name that shows promise when it comes to genres or at least some variety is Aanand L Rai.